It’s not Thanksgiving week in Loudoun without a line out the door of Mom’s Apple Pie Company. 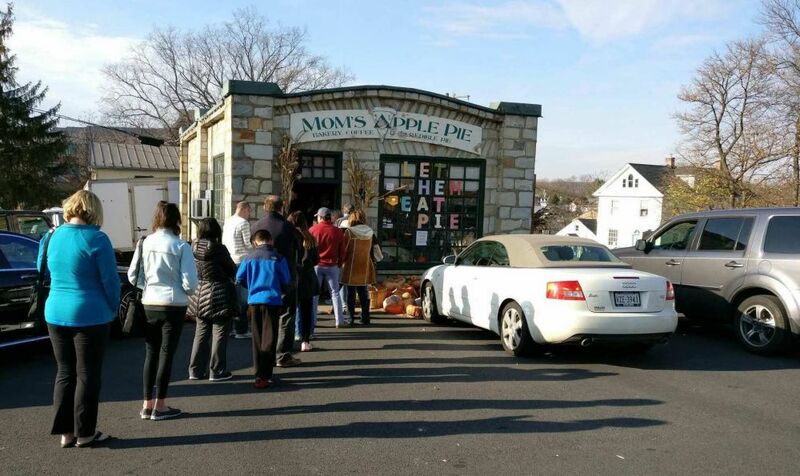 Customers line up at Mom’s Apple Pie Company ahead of Thanksgiving. Picking up freshly baked pies ahead of turkey day is a tradition of many Loudouners, and hundreds of others who live out of town who make the drive to the bakery on Loudoun Street. Just before noon, the shop still had pumpkin, pecan, chocolate pecan, apple, apple crumb, cherry and cherry crumb pies for sale. Mom’s Apple Pie Company also has locations in Occoquan and in Round Hill at 35246 Harry Byrd Highway. 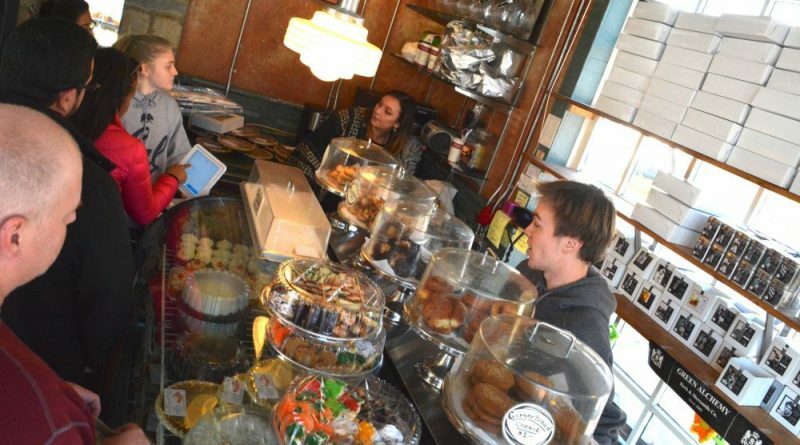 In a Facebook post, the shop encouraged pie lovers to stop by its Round Hill location, where the lines are usually shorter. The shop is open until 6:30 p.m. today and will be open “unofficially” tomorrow morning to sell the last of its pies baked ahead of the holiday, according to its Facebook page.